• Asia-Pacific airlines’ June traffic rose 9.5% compared to the year-ago period, up from 7.7% growth recorded in May year-over-year. Capacity rose 7.4% and load factor edged up 1.5 percentage points to 80.6%. Demand is being stimulated by robust regional economic growth and increased city-pair options for travelers. • Middle Eastern carriers posted an 11.0% demand increase in June compared to the same month last year. This was a sharp turnaround from the flat traffic growth in May, which was partly attributable to the timing of Ramadan between the two years. Results were also affected by unfavorable developments in the year-ago period, including the ban on large portable electronic devices, as well as the travel restrictions imposed by the US for visitors from certain Middle East and African countries. Capacity rose 8.0% and load factor climbed 1.9 percentage points to 71.0%. • European carriers saw traffic rise 6.1% in June compared to June 2017, down slightly from a 6.3% year-over-year increase recorded in May. Capacity climbed 4.8% and load factor rose 1.1% percentage points to 86.8%, highest among the regions. Growth is supported by a relatively healthy economic backdrop. However, the possibility of air traffic control strikes could affect growth over the coming months. • North American airlines’ demand rose 5.9% compared to June a year ago, an improvement from 5.0% growth recorded in May. Capacity climbed 3.6%, with load factor increasing 1.9 percentage points to 86.7%. 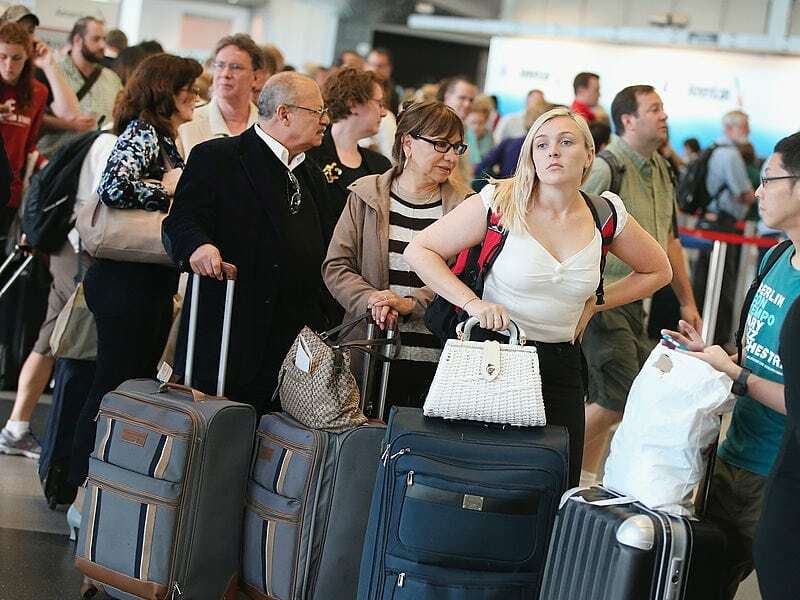 Increasing momentum in the US economy is supporting growth in passenger volumes, but prospects of further escalation in trade disputes could affect future demand. • Latin American airlines experienced a 5.6% rise in traffic compared to the same month last year. This was down from 7.9% year-over-year growth in May and there are some possible indications of a slowing in demand growth. Capacity increased by 6.5% and load factor slipped 0.7 percentage point to 81.4%. Latin America was the only region to post a decline in load factor in June. • African airlines’ traffic soared 10.9% in June, up substantially from just 2.1% growth in May, although this partly also reflect volatility in the monthly data. Capacity rose 5.5%, and load factor jumped 3.3 percentage points to 68.0%. Higher oil and commodity prices are buoying the economies in a number of countries, including Nigeria. • Brazil’s domestic traffic rose 5.3% in June, up from 3.8% in May. Despite the improved performance, demand was still affected by the residual impact of the recent general strikes. • Japan’s domestic traffic climbed 3.7% in June compared to a year ago, which was well up on the 1.7% growth recorded in May. However, there are some possible indications of a softening economic backdrop going forward.